Square-Enix has confirmed to VG247 that Crystal Dynamics is not developing â€˜Nosgothâ€™, but that the new project that is linked to the Legacy of Kain franchise. Our source explained that the reason for talking to us about the project was to clear the air following Nosgoth leaks that came from AMD and Steam. The game will not be announced at E3, but the source added that Square is very excited about the concept. They added, â€œWe donâ€™t want people to get the wrong idea about Nosgoth following the AMD and Steam leaks ahead of its future official announcement. Nosgoth is not being developed by Crystal Dynamics,â€� and added, â€œCrystal Dynamics are not working on a Legacy of Kain gameâ€�. I don't think anybody else has picked up on this until now, hope it is worth a thread. LOL this is a joke right? These games are OLD! To explain the significance of that, "Andrew D" is an employee of AMD. In this context, AMD is effectively a technology company responsible for helping developers to optimise their games for different platforms, with new drivers, patches and fixes (the Catalyst project). A guy whines at Andrew that the new fixes only concern old games, then the user named "kn00tcn" installs the patch in the link, looks through some of the associated files, and proves him wrong by pointing out that there are some very recent games being supported here - some so recent they aren't even out yet. One of them is War for Nosgoth. "Nosgoth" and "War for Nosgoth" are in there multiple times, nestled comfortably enough in at the end of a list of games from this generation (closest to Takedown: Red Sabre and Remember Me, as mentioned). I haven't investigated thoroughly, but I don't think many, if any, of the titles in there are known to be cancelled projects. They all seem to be either released or upcoming games. DmC, Resident Evil 6, the new Call of Juarez, the next Splinter Cell, etc etc etc. I'm afraid there aren't any actual details about this game(?) beyond its name, and the program associated with it - which is titled "BCMPGame.exe". Perhaps interestingly, there is absolutely no mention of the words "Legacy of Kain". 3) perhaps WfN was well into development but was recently cancelled thanks to Square Enix's financial struggles, and that's why we still haven't heard an announcement. ...and other permutations of the above, but unless I've missed something, I think this finding alleviates any doubt that this has been a real game in development for consoles and could be on its way soon. Thanks to "kn00tcn". Please feel free to look into this further if you like, as I haven't accounted for everything in that file and there might be more to scrutinise. EDIT: As an aside, it's rather nice to see a bunch of gaming websites posting links to this thread (though I'm not sure when I changed my name to "Eidos Forums poster" or "Eidos Games' community")! Unfortunately, and there is minimal info so I may be mistaken, but it seems the Steam profile credits the indie developers Psyonix Games as involved. They are best known for creating, err... well, nothing, really. Please let's collectively pray it's not some piece of crap MMO or any other form of assorted throwaway garbage. Uff, I hope its not Psyonix then... Seems to be like a small game, maybe rts? or diablo style? Well, that actually means nothing, as Psyonix are mostly outsourcing team. I'm kinda intrigued SteamDB says that this app was formerly named Black Cloth. 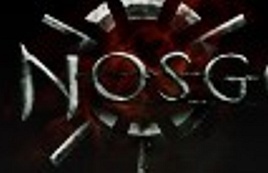 Yes, 'War For Nosgoth' is the next entry in the series. Come on Crystal Dynamics, do your magic again! All these clues put together - there is definitely a game in the works! Submission on Steam proves it too and itÂ´s being updated almost daily. Thanks Ber! Kevin Riepl must have made music for Nosgoth, seems he worked on mostly shooters though (Gears of War, Unreal, Aliens: CM) and some movies. Dr_Zoidberg: Indeed, why "Black Cloth" I wonder? and they changed it later to Nosgoth..
Wouldn't pin any hopes on Crystal Dynamics and their magic if I were you - they said recently that they are not doing Legacy of Kain. First by Carl Stewart, again by Brian Horton. Even if it is a small Guardian of Light-style game, the timing - five months since they said these things - makes their involvement near-impossible, assuming that they were telling the truth and not being mega-oblique. Its Karl! And surely, he isn't working on it, someone else like his colleagues are. Moreover, they are not doing Legacy of Kain, but they are doing War For Nosgoth. Its not like developers lie. Karl Stewart is no exception. He lied about multiple things during Tomb Raider campaign which I followed very closely. For example he said there will be no 'supernatural elements' and 'no white ledges' in Tomb Raider and both of them came false. There are more stories like that. Just don't trust Karl Stewart. We had this kind of notion already in the other thread. I would still contend that even if we were all to accept Stewart had an absolutely terrible track record for veracity during Tomb Raider's PR campaign, that still doesn't give us license to dismiss Brian Horton. Or Noah Hughes. They have been clear time and again that they remain stooges to the Tomb Raider franchise and are trying to create new IPs in the precious little spare time they have. I think it's fair to say their responses to LoK questions in general have sometimes come with a certain air of "please would you stop annoying us about that series". Barely anybody from the Defiance team is still at the studio now, in any case. I know this doesn't entirely preclude them from working on LoK, but certainly let's not set ourselves up for disappointment by jumping to the conclusion that they have been conspiratorially working on the next game all this time. I believe there's three teams at Crystal Dynamics, at least. While developing TR, they confirmed they are working on two other IP's at the same time. And after TR finished, I believe guys like Brian Horton, Karl Stewart and Noah Hughes moved to another TR or related project. It can be Tomb Raider 10 or it can be Lara Croft: Reflections (a GoL type game) since they registered that domain too. Also don't forget Cory Barlog moved to CrystalD. He could be in charge of another IP, not surprise it being ended as War For Nosgoth. If they work on the next TR/LCR & WFN, then the other IP could be Murdere: Soul Suspects, the game which revealed a few months ago as a SE title but didn't unveil the developer. Anyway, whatever it is, fingers crossed for it being a LoK title from CD. Please let's collectively pray it's not some piece of crap MMO or any other form of assorted throwaway garbage. man I'd play it regardless if its an mmo or not!! - new lok game in the works finally so who cares what it turns out to be gameplay wise as long as its our beloved vampires in SOMETHING!! No. This stance is wrong on so many levels, it's not even funny. The fact is, if it's a betrayal of our franchise, we must cry foul as loud as possible. Remember: they are interested in selling us something more than we are interested in buying. Or at least so they must think. And therefore, we order the music. Remember XCom. When a FPS reboot was announced back in '09, fans cried foul. The publishers made XCOM: Enemy Unknown, a real deal XCOM game to shut them up and now the shooter game (that's now a TPS with tactic element) is a spin-off to that. We have the power because we are paying customers. At our whim will this game be greeted or damned. At our whim. I am dreading this more and more with each rumour and I really hope they shut me up and kill these fears when they announce something. Fingers crossed, please please be an LoK game and be decent!!! not MMO or something lame like that lol, we have waited so long. Also, Polygon contacted SE about this, so letÂ´s wait if there will be an official statement. 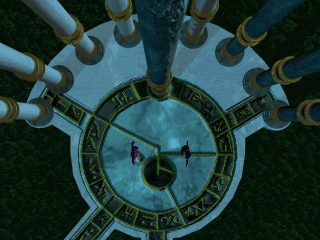 Of course this is absolute proof.... that the detective work of Corlagon and Divine Shadow rocks! Haha, the whisperers in the shadows have gone Streisand on us once again! Nice try folks! Everyone take another look at Kevin Riepl's LinkedIn profile. Something's changed in the past few hours... can you spot the difference? looking promising. hope it'll be announced at E3 for next gen consoles. With E3 arriving in a couple weeks its seems to make sense that news would start leaking out ;D This is very exciting! I hope it winds up being true. As for "Black Cloth" maybe that's just a code name, to keep the very thing that's happening from happening Also, I'm thinking "BCMPGame.exe" probably stands for Black Cloth Multiplayer Game....hmmmm. I kinda hope that's not true...or at least it's a Multiplayer component to a Single player game. btw, nothing is still happening at "WarForNosgoth.com".